Many boating safety courses are offered throughout the country, for all types of recreational boaters, and for boaters of all ages. Qualified volunteer organizations, such as the U.S. Coast Guard Auxiliary, U.S. Power Squadron, and others sponsor many courses, and many state boating agencies also provide classes. Courses cover many aspects of boating safety, from boat handling to reading the weather, and from a "Water 'N Kids" class to courses for boaters who want to learn electronic navigation skills. The most popular basic courses generally have from 6 to 13 lessons to provide a foundation of operational and safety instruction. 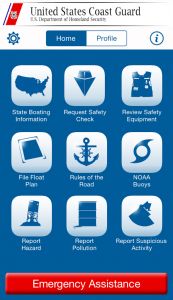 The Courseline is a searchable database of current boating safety courses around the nation. Offers online boating safety courses with online certification tests for a number of states. Safe Boating America classes meet the State Educational Requirements for operating a Boat or PWC and also meet the requirements for a Youth Operator. Many states offer boating safety courses. The National Association of State Boating Boating Law Administrators' online Directory provides contact information for state boating agencies. Local flotillas offer a variety of safety classes, including basic/introductory boating courses and safety courses, navigation, sailing and personal watercraft safety, among others. Programs offer instruction in small and large sailboats, windsurfers, and powerboats. All levels of instruction are available around the country for beginner to advanced skills. Information on courses and instruction is available on the web. Comprehensive resource to find skills courses, assessments, and instructor certification courses for kayak, canoe, raft, safety & rescue, and adaptive paddling.